The success of the youth tryouts process often comes down to one group of people – the evaluators. Even though coaches and directors ultimately assemble team rosters, the scores and evaluations athletes receive during tryouts often come from those who are tasked with scoring each player. Therefore, it is crucial that this group gets proper training and preparedness before evaluation day, just as you prepare your athletes for tryouts. 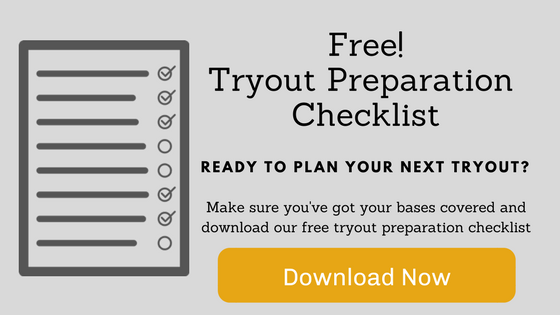 Here are some tips on how to prepare coaches and evaluators for tryouts. 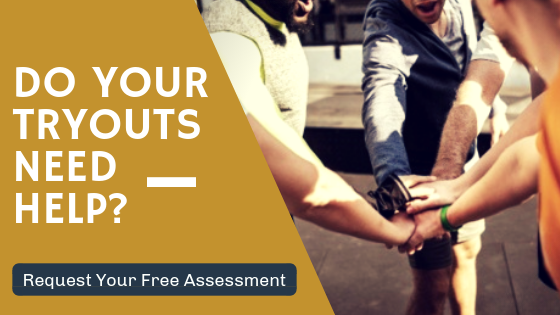 Ensure each evaluator is very clear about what is expected of him or her during tryouts. Scoring youth athletes can come with a lot of pressure, so it’s important that this person is up to the task. They also need to be prepared to score athletes solely based on the outlined criteria, making it crucial that he or she can score each player fairly. Leagues might want to consider having each evaluator sign an oath to judge fairly, and also ask if an evaluator knows or is familiar with any of the players. This can help alleviate any potential issues later in the process. Make sure each evaluator is available for the designated tryout sessions. Organizations might also want to prepare them for the number of athletes signed up for each session so he or she knows about how many players they will be evaluating. This will help them determine if they can remain focused, fair and accurate for the entire evaluation period. Running through the agenda for each tryout session will help evaluators get familiar with the schedule for the day and how much time is allotted for each skill. Arm each evaluator with knowledge on what they are allowed to do on tryouts day, as far as if-and-when they can ask an athlete to repeat a skill, if they can move athletes into different groups, what to do if they fall ahead or behind schedule, and when they should call a director over for help or consultation. Evaluators should be clear on what skills and categories each player will be scored on. Directors and coaches should ensure each evaluator knows how the skill should be performed and what they are looking for in each player’s execution. Any other areas coaches and directors want evaluated – such as attitude and effort – should also be made clear. One shared scoring system should be used by all evaluators. Each person should be instructed as to what constitutes each scoring range, and how to calculate overall scores. Giving examples of the skills performed at each scoring range can help make it clear to evaluators what they are looking for during tryouts. If leagues are using evaluation software it’s important to train the evaluators on the tool prior to tryouts. Each evaluator should make sure they can access the software, log in, and know how to go through the process of pulling up each player in the tool and entering his or her scores. Make sure each evaluator is comfortable with the software and is well-practiced in it before tryouts. Whether you are using evaluation software or paper forms, make sure each person is properly equipped during the tryout session. If you are using software, make sure each evaluator has access to the necessary phone, tablet or laptop. For paper forms, make sure evaluators have clipboards, writing utensils, printed out forms, and if needed, calculators.